Finding the Best Makeup Foundation just got easier. 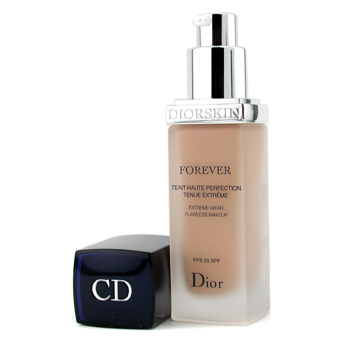 The Best Makeup Foundation to use if you are looking for full coverage is a liquid foundation. A liquid will allow you to to build in some areas and decrease coverage in others. It will help you to create a flawless finish, and a perfect looking base. When using a liquid foundation always use a matte powder to set the makeup in place. Dot the Liquid Foundation on the face all over, and then blend from the center of the face outwardly. Try using a foundation brush to minimize the amount of product you are using and to get even distribution all over the face. If you use a sponge keep in mind that most of the product will be soaked into it. Tip: Be sure to blend, blend, blend. Special areas to watch are the hair and jaw line, and be sure that your face isn't one color and your neck another. I particularly like this liquid, because it has a oil-free formula and it comes in so many different shades. In always reliable Clinique fashion this foundation goes on like silk and preforms all day. What more can you ask for! An extreme wear for an extreme beauty. This fluid foundation is inspired by nano-technology Contains moisturizing regulator for optimal comfort Hides minor imperfections & evens out skin tone.Waterproof & long wearing for hours Leaves you a smooth & radiant complexion even in harsh conditionsThis is definitely a must buy. Studio Fix Fluid is remarkable! The texture is smooth and silky, the color selection is untouchable, and it preforms like second skin. This product will give you full coverage with having to reapply throughout the day.